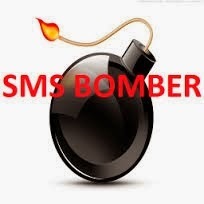 SMS BOMBER FOR ANDROID MADE BY DECI. Deci is a member of RN-HXX Sharing Group. Let me share this app made by him for android. Available for Android 2 and up. Use a new sim card or unused ones. NOTE: use 1000ms as delay , if not sending properly increase, experiment what fits for your phone.